It’s been a wonderful journey so far and I’m so happy that I haven’t given up. Blogging is so hard work but it is so rewarding. 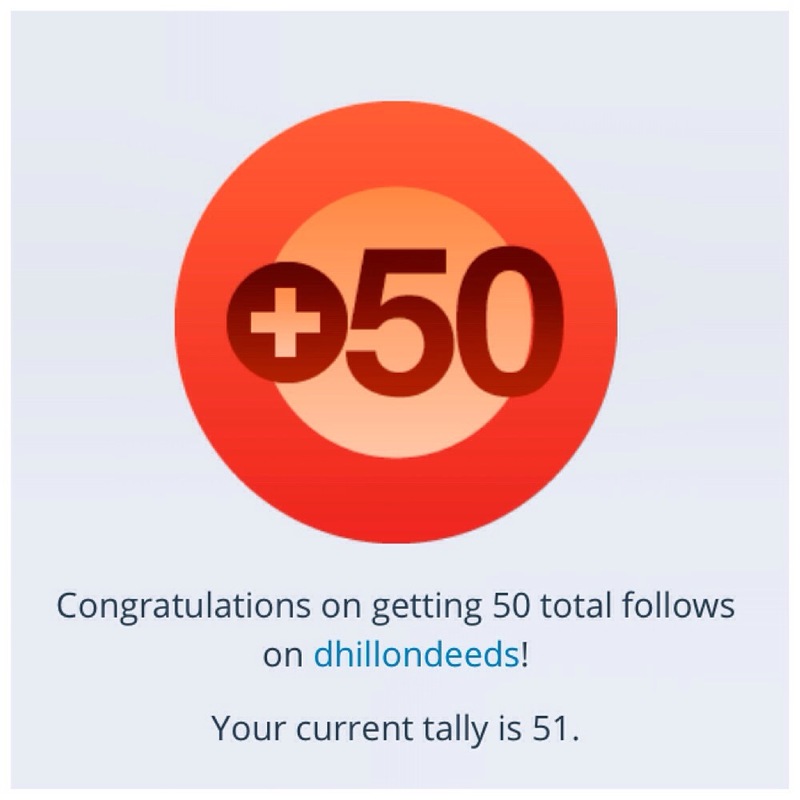 I would like to take this opportunity to thank all of you who follow, like and comment on DhillonDeeds. I really appreciate the support and it encourages me to write and produce better work every time. When I started blogging I didn’t think I would even get 10 and now we are on 50! My blog isn’t where I would like it to be but I am happy with its growth. I have so much to learn with regards to writing, photography and more importantly, consistency! Always remember to celebrate every milestone! [ Smiles ] Congratulations on acquiring fifty followers! So happy to welcome you to my little family on the Internet. Hope I’ll be seeing more of you.